You are at:Home»Indian River Lagoon»Are Dolphins Ailing From Algal Blooms in the Indian River Lagoon? A few summers ago, an algal species never before spotted in the Indian River Lagoon rapidly spread throughout the estuary and sparked one of the water’s most massive fish kills ever. The responsible organism was a cyanobacteria called Microcystis that’s usually associated with fresh water bodies such as the Great Lakes and not brackish waters like the lagoon. While scientists investigate how this harmful organism was able to flourish in the lagoon in the first place, Spencer Fire, assistant professor of biological sciences is working with researchers at Harbor Branch Oceanographic Institute on how toxins caused by this organism could affect dolphins and their prey in the estuary. The work is made possible with funding from the Protect Wild Dolphins Specialty License Plate Fund, which is administered by Florida Atlantic University-Harbor Branch Oceanographic Institution. Fire and the HBOI researchers will be testing for harmful algal bloom (HAB) toxins in the water, sediment and in animal tissue during non-bloom times to establish a baseline and test again when an algal bloom is in effect. Ultimately, the scientists want to determine if there are correlations between toxin concentration and dolphin pathology. 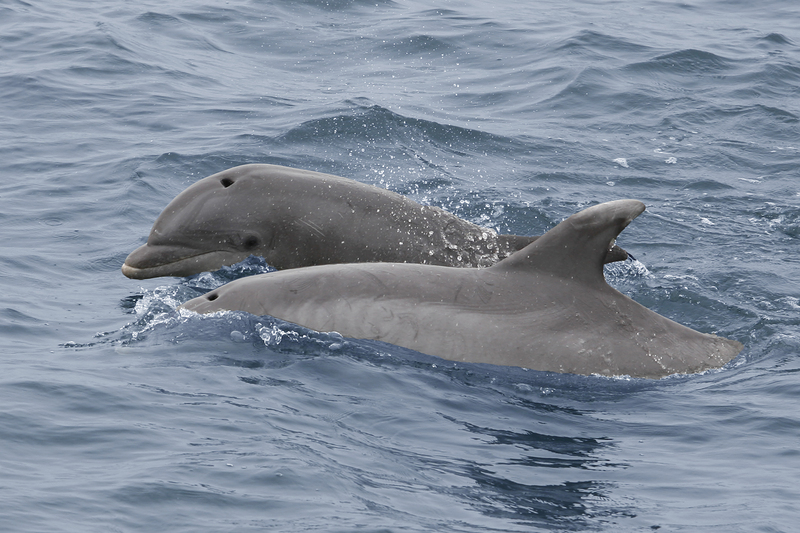 And, dolphins are considered a sentinel species for understanding future health threats to humans. In other words, anything that makes a dolphin sick could harm us as well. “Fish are a critical part of the Indian River Lagoon food chain,” Fire says. If this research shows that dolphins are ailing from eating fish known to have HAB toxins in their bodies, humans would likely face the health threat as well.